Age restrictions: Child age confirmed as 3-15 years. Children aged 2 and below go free. Pick up point: Please take your confirmation/voucher along with photo ID and credit card used for purchase to the London Eye. Cruise departs from Waterloo Pier at the London Eye. Important info: Fully wheelchair accessible, please contact our reservations team for more information.In order to gain entry you must present a printed copy of your voucher.Please note: The London Eye River Cruise is closed for annual maintenance until the 3rd February 2018. 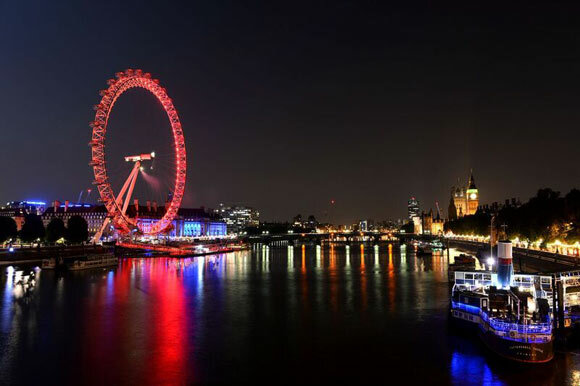 Take a cruise down the River Thames this summer on the London Eye River Cruise. This award-winning sightseeing cruise doesn't just take in the impressive London Eye but also takes visitors past the historical House of Parliament and Big Ben, St Paul's Cathedral and the Tower of London. For those also looking to pin point a couple of London's main cultural points, the cruise will also take you past the Tate Modern and Shakespeare's Globe. The cruise features a live commentary from an expert guide which really brings London city to life. Audio commentary is also available in French, German, Spanish, Dutch, Italian, Russian, Japanese and Mandarin. What are you waiting for? Take to the Thames to experience glorious London from the water. Whilst cruising down the river Thames, visitors can see a number of historic sights. Big Ben is a highlight which dates back until 1858, St Paul's cathedral another one which dates back to 1675. The River Thames is 215 miles long and, at its widest, is 18 miles wide compared with just 60 feet at its narrowest! The river has featured in many books including The Wind in the Willows and Alice in Wonderland. It is also shown in a large number of films such as James Bond and Absolutely Fabulous. There are over 200 bridges crossing the Thames. The River Thames runs through 7 different counties - Greater London, Wiltshire, Berkshire, Buckingham, Surrey, Oxfordshire and Gloucestershire.